What She Was Saying, a finalist for the Katherine Anne Porter Award, delves into memory and desire, loss and longing, and the unexpected pathos of the commonplace. In these finely-wrought stories, Marjorie Maddox reveals the complex space between the spoken and the glimpsed unspoken in the lives of women. In “Crowned,” the opening piece, a traveling preacher and his daughter arrive in a new town. The voice is perfectly teen-savvy: she knows she’ll be the festival queen, knows the moves she and her father will make, how the townspeople will react. Yet, beneath the surface of charming adolescent swagger lies real world wisdom. The truth isn’t in what people say. She and her father must always move along, and for dark reasons. “By the time five Sundays have passed, Mrs. Moore has another bruise, only this time just her eyes say something. Part of what they say is shame. Her husband is an elder. They always are. His eyes say embarrassed. They say forget what you know” (4). Her experience sets up the preoccupation of the collection, telling readers from the outset that our secret selves are fraught with conflicting impulses. Speaking one’s truth is a difficult endeavor. Though the stories complement thematically, each one occupies a disparate and thoughtfully crafted universe. Maddox, a Professor of Creative Writing at Lock Haven University, masterfully executes short fiction of all shapes and sizes—these pieces exhibit the precision and technique of Olympian dives. She reveals the inner lives of these women sometimes through a slow-blossoming piece like “Weeds,” or through a constellation of vignettes, as with “Rachel Isum Robinson: Snatches and Excerpts.” Stitched among the larger pieces are flash fiction bits, lyrically lush moments inspired by contemporary events—a woman dies on a rollercoaster, another in a skydiving accident, or the imagined experiences of female soldiers Jessica Lynch and Lynndie England—which Maddox transforms from sensational headlines into instances of piercing emotional insight. “A Wave Rushed Over,” the stand-out of the collection, is a shining example of the author’s talent for drawing a vivid web of emotional complexity from a seemingly ordinary life—in short, reminding us that there is no such thing as ordinary. Megan, suburban and fortyish wife, is on the last rungs of hope for a child—“she had the power of prayer and science as her arsenal” (40). She is long weary of contending with her big, and fertile, Catholic family. Maddox avoids predictable tropes associated with this subject, instead approaching familial faults and tangled sibling histories with an unflinching realism that pulls no punches, but allows enough tenderness for humor. The collection feels intentionally curated so that the story sequence illustrates a movement from powerlessness to power within the context of a unifying theme: the complicated relationship between truth and what these women say. Early on, characters are often stymied by social constraints, or their own anxieties, unable or unwilling speak their truth. In the title story, a woman builds an intense private fantasy around her oblivious therapist. Later, the tone shifts. “Rough Drafts” audaciously presents a woman who bruises herself on purpose so that she can masquerade as a battered victim in front of her coworkers. More than simply tacky, attention-seeking behavior, this is an act of purposeful revision of self: “Here I can delete things that aren’t important. Things that aren’t rugs under someone’s feet. Here a question mark has never seen How will I live? or Where will I go? And therefore is only a word, a transition without plans” (116). In its final pages, the collection makes an even more overt gesture for change, with stories like “Learning to Yell” and the denouement flash piece, “And Then.” It’s no accident that “And Then” plays with reader expectations. This is not an ending, it’s a jumping-off point. From the coy opening line, “the night she turned forty, she stopped speaking,” these brief paragraphs are a kind of closing argument (152). 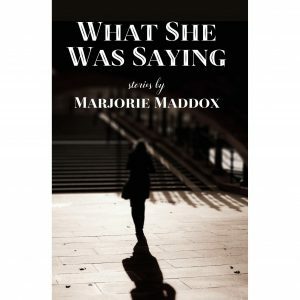 Although at times Maddox is a bit too conscious of technique, What She Was Saying is undeniably a vital and compelling collection. Her stories, full of humor and heartbreak, absurdity and terror, offer a window into the unarticulated lives of women. Women existing under the surface, a breath away from bursting into the world at large. I am left hoping that they will. Marcela Fuentes is the 2016-2017 James C. McCreight Fiction Fellow at the Wisconsin Institute for Creative Writing. She has an M.F.A. from the Iowa Writers’ Workshop and Ph.D. from Georgia State University, where she was the Virginia Spencer Carr Fellow in Fiction. 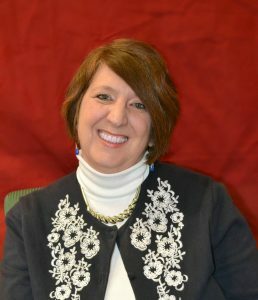 Her stories have appeared in the Indiana Review, The Stoneslide Corrective, Vestal Review, and Juked, among others, and anthologized in Flash Fiction International (W.W. Norton), Best of the Web (Dzanc Books), and New Stories from the Southwest (U Ohio/Swallow Press). A native of south Texas, she is at work on her first novel.